Bic picks Hunter PR as marcomms AOR; Audi of America sticks with PMK-BNC; Voting in South Carolina, Nevada tomorrow; Trump's 2002 statements on Iraq come back to haunt him; How Apple decided to defy the FBI. 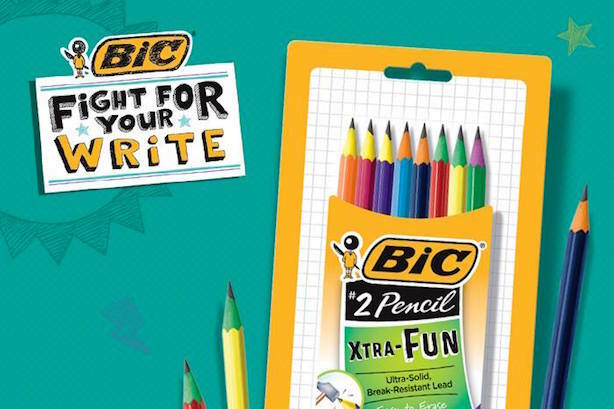 The agency is taking over marcomms work for Bic’s line of stationery products, lighters, and shavers. Hunter PR will also provide marketing PR services for Bic Flex razors and Bic Soleil razors, as well as support for Bic Lighter programs. The incumbent on the account was Cashman + Katz, which will continue to handle corporate communications. After nearly a decade working together, Audi of America decided to stick with PMK-BNC as its US AOR after a review. Staffers in the firm’s New York City and Los Angeles offices are working on the account. Audi parent Volkswagen continues to face a major scandal resulting from its use of "defeat devices" to feign compliance with emissions regulations. The doubleheader of the Nevada caucuses and South Carolina primaries on Saturday. In South Carolina, Donald Trump’s lead over Ted Cruz is shrinking, while Hillary Clinton is up comfortably over Bernie Sanders. The race is closer in Nevada. Audio emerged Thursday of Trump voicing support for the invasion of Iraq in 2002. (He’s claimed he was against the war in recent campaign stops). Observers are watching to see how the flip-flop plays in South Carolina, where current and former members of the military make up a large portion of the GOP electorate. Trump’s also been feuding with Pope Francis. Both The New York Times and The Wall Street Journal have behind-the-scenes looks on Friday morning about the months-long process behind Apple’s decision to stand up to the FBI and issue a lengthy letter to customers about its privacy policies. Bloomberg is reporting on government memos on hacking into phones. Apple said no to the FBI earlier this week, after the federal government asked it to create a backdoor into the iPhone of Syed Farook, who, along with his wife, killed 14 people in San Bernardino last year.